Which? can exclusively reveal that Volkswagen Group presented a plastic cable tie as a permanent fix to a potentially lethal car seat belt fault, despite the cable tie not actually fixing the problem. The decision by VW to keep selling cars with this known fault means that 75,000 car owners are now affected. The DVSA’s head of vehicle engineering, Neil Barlow, said: ‘We have taken this issue extremely seriously, which is why a full safety recall has now been launched and all affected vehicles will be fixed by VW.’ End of update. A Which? 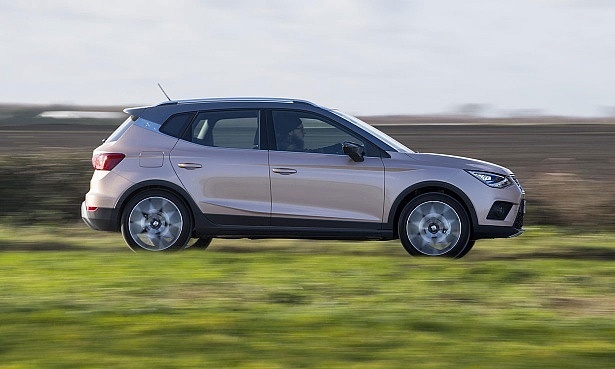 investigation has revealed a litany of concerns with the way Volkswagen Group has handled a seat belt fault with the current VW Polo, Seat Arona and Seat Ibiza. Our Which? Car experts reveal their pick of the top cars for 2018. 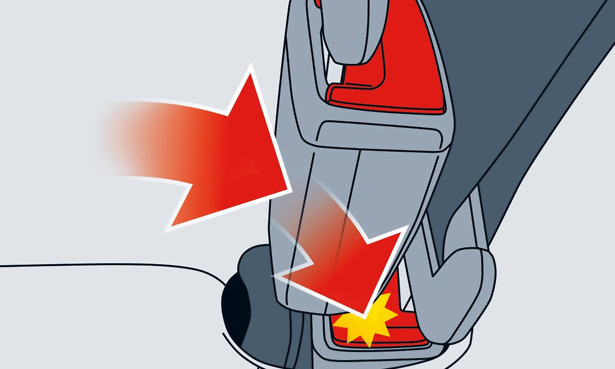 The saga started back in May 2018, when Finnish magazine Tekniikan Maailma discovered the rear-left seat belt in the Volkswagen Polo, Seat Ibiza and Seat Arona was at risk of coming undone. It can occur when both the middle and rear-left seats are occupied, if the car is being driven at speed and makes an abrupt lane change. 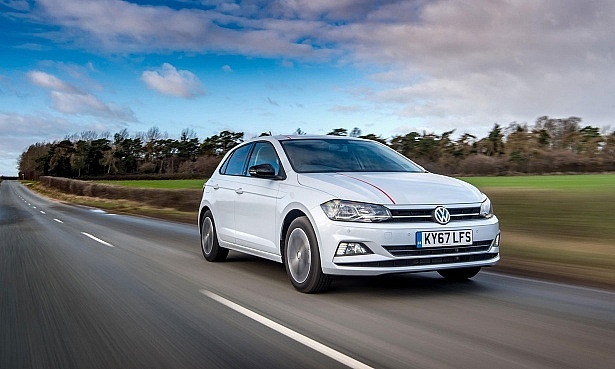 The Volkswagen Group, which owns both the VW and Seat brands, issued an ‘informal recall’. This type of recall is handled more discreetly than a full safety recall, as no data appears on the public-facing safety recall database run by the Driver and Vehicle Standards Agency (DVSA). 12,000 VW Polos and thousands of Seat Aronas and Ibizas were identified at the time as being affected. These cars were recalled to receive the ‘interim’ fix – this means the faulty seat belt block was temporarily secured with a plastic cable tie. As this does not fix the issue, owners were told not to use the middle-rear seat until a permanent solution could be implemented at a later date. A warning sticker was later issued to all owners. 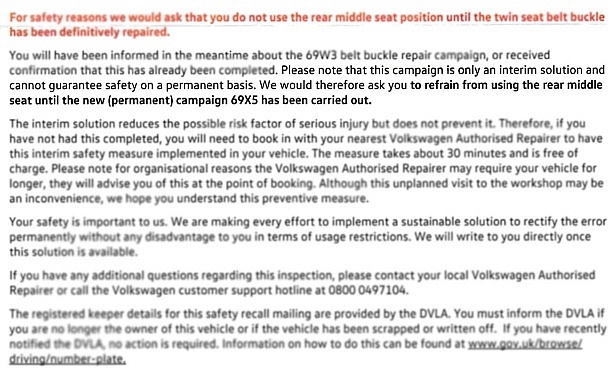 However, we have discovered that Volkswagen presented the cable tie as a permanent fix to the safety authority responsible for car safety and recalls, the DVSA, despite it not actually eliminating the risk of the seat belt coming undone. The DVSA rejected it as a permanent fix. Instead, it was approved as a temporary measure. Which? approached Volkswagen for comment on whether or not it presented the cable tie as a permanent fix, but received no information pertaining to our question. 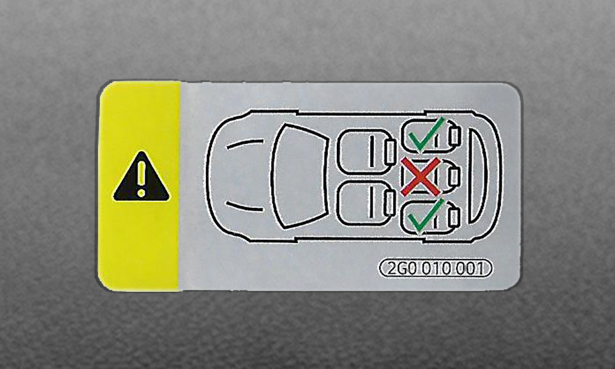 Volkswagen also provided owners with a sticker (pictured above, 2.5-inches long) to attach to their dashboard from late August, three months after the issue was discovered. It warns people not to use the middle rear seat. This means five-seater cars are in fact four-seater cars until the second recall happens, when a permanent fix will be applied. VW has told us it anticipates the recall should start later this month. Crucially, the German car manufacturer decided not to suspend sales of the affected cars following the discovery of the fault. 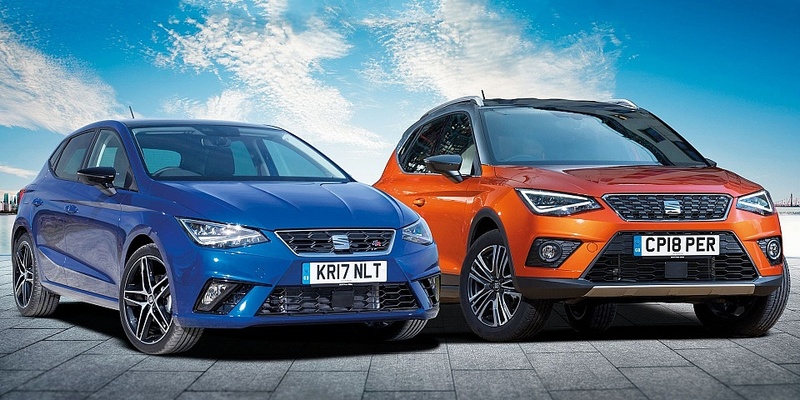 Meaning that all Polos, Ibizas and Aronas sold after the issue was discovered in May would also have unusable middle seats, and would ultimately have to join the number of cars that will be recalled again later this month to receive the permanent fix. After six months of sales since the fault was discovered, that number has now risen to 75,000 affected cars (the VW Polo is the sixth most-sold car in the UK this year, according to data published by the Society of Motor Manufacturers and Traders). We have also found that an estimated 1,500 cars may never be fixed. Keep reading to find out more. Alex Neill, Which? Managing Director of Home Products and Services, said: ‘VW’s handling of this potentially lethal safety issue has been completely unsatisfactory. It’s shocking that they proposed a permanent fix that doesn’t even properly solve the problem, and we’re concerned that customers might not always be getting the right information at the point of sale. Need a car you can rely on? We surveyed over 43,000 people to find out how reliable, or not, their cars really are. You’ll find individual reliability ratings and write-ups in our handy car reliability tool. 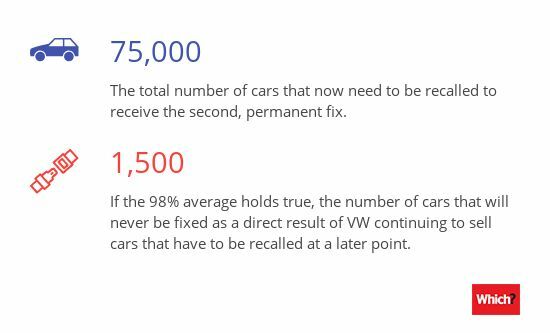 The choice made by Volkswagen Group (who owns both Volkswagen and Seat) to keep selling the affected cars means there are now 75,000 cars that need to be recalled again to receive the second, permanent fix. This is an estimated rise of approximately 55,000 or more cars since the issue was identified in May. Once the second recall happens, responsibility is essentially transferred from VW to the consumer to take their car to a garage to get it fixed. While every owner should be contacted, the onus is then on the individual to bring their car in, as there is no legal obligation to respond to a recall notice. Very few recalls ever see 100% of affected cars fixed. Thanks to the high volume of cars knowingly sold with the seat belt issue and applied interim solution between May and October, we estimate there might be 1,500 vehicles remaining on UK roads that will never receive the permanent fix. Why won’t all of the affected cars be fixed? The DVSA reports that the average recall success rate is currently 98%. It also confirmed Volkswagen’s own average recall success rate is in line with that figure. In May, 12,000 VW Polos had been identified as being affected by the fault (and an unspecified amount of Seat Aronas and Ibiza models). If VW had stopped selling Polos with the fault, that 98% success figure would have left only 240 of these cars unlikely to ever be fixed. But six months later, thanks to a large volume of sales, the total number of cars affected has risen to 75,000 (45,000 Volkswagen Polos and 30,000 Seat Ibizas and Aronas combined). With the same 98% average applied, the number of cars now unlikely to be permanently fixed has risen to 1,500 models. The Volkswagen Group says it instructed car retailers to inform buyers at the point of sale that the VW Polo, Seat Ibiza and Seat Arona were actually four-seater cars until the permanent fix became available. VW Group told Which? that it relied on dealers to inform new customers at or before the point of sale that they could not use the middle rear seat, and sign a disclaimer. During our investigation, we’ve discovered that not all new owners were informed of the fault, and have been unknowingly using the middle rear seat when it was unsafe to do so. See I wasn’t told about my VW Polo’s seat belt fault. We do not believe that using retailers to inform people at the point of sale is a robust measure. Particularly as the fault didn’t appear on the DVSA’s own recall website – this was because the cable tie fix was classified as what the industry calls an ‘informal recall’. Nor could we find any information about the fault on either the VW or Seat websites. We asked VW to confirm what information there was online, but have not received a corresponding answer. What could VW have done? Which? car expert Adrian Porter says: ‘This potential increase is a direct result of Volkswagen choosing to continue to sell cars with a known fault that have to be later recalled. ‘Volkswagen will be aware of its own recall success rate. If it had suspended sales, it could have minimised this risk. ‘But after the second recall starts later in November, responsibility transfers to the consumer to take action, and follow up on the recall. 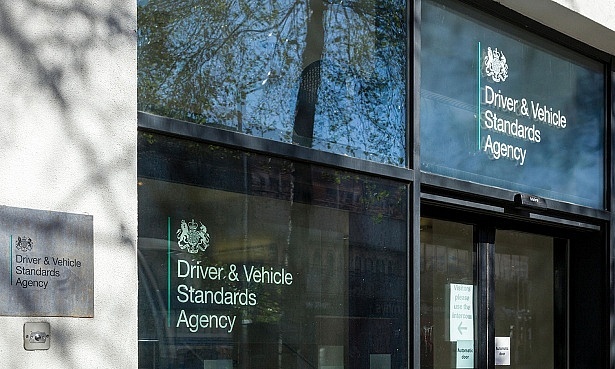 ‘Volkswagen (and the DVSA) might do everything they can to encourage as many owners as possible to bring their car back in, but the most effective measure would have been to suspend sales once the fault was found, until a permanent fix was made available. Volkswagen has not acted unlawfully in so doing. Officially, the cars remain ‘legally homologated and safe to drive’, as both recalls have been allowed by the authorities that administer the recall and type approval system, allowing the manufacturer to keep on selling these cars in the UK and across Europe. See all of our expert, independent new and used car reviews. Petrol vs diesel cars - which is better?